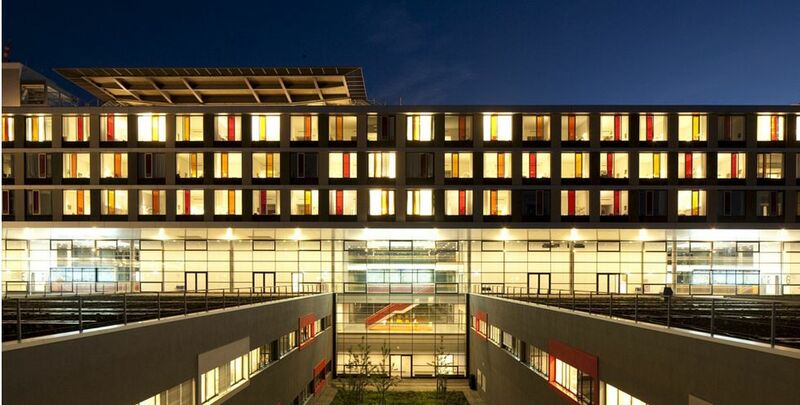 According to the Focus magazine rating, the Ulm University Hospital is ranked among the top 20 German hospitals! The hospital started its activities 35 years ago and during this time it has become one of the most prestigious medical institutions in Europe. The hospital is famous for its numerous discoveries and the world-class achievements in medicine and pharmaceuticals. The medical facility has 29 specialized departments and 14 institutes, which provide patients with the outstanding quality of treatment in Germany. The hospital serves about 50,000 inpatients and 300,000 outpatients annually. The hospital offers patients an accurate diagnostics of all diseases with the use of advanced medical equipment, effective treatment, quality care at all stages of hospitalization, attentive and friendly attitude of the medical staff. The clinical priorities of the medical institution include transplantology and oncology. The hospital holds the world's leading position in transplantation for therapeutic purposes. The doctors of the hospital demonstrate particularly successful results in bone marrow and stem cell transplantation. In addition, the hospital has advanced experience in oncology. The Cancer Center of the hospital is recognized as the leading medical facility of this kind in the country and receives grants from the German Cancer Society. It provides an effective cancer treatment in Germany, as well as conducts active research activities to improve the available treatment methods and develop innovative therapeutic techniques against cancer. 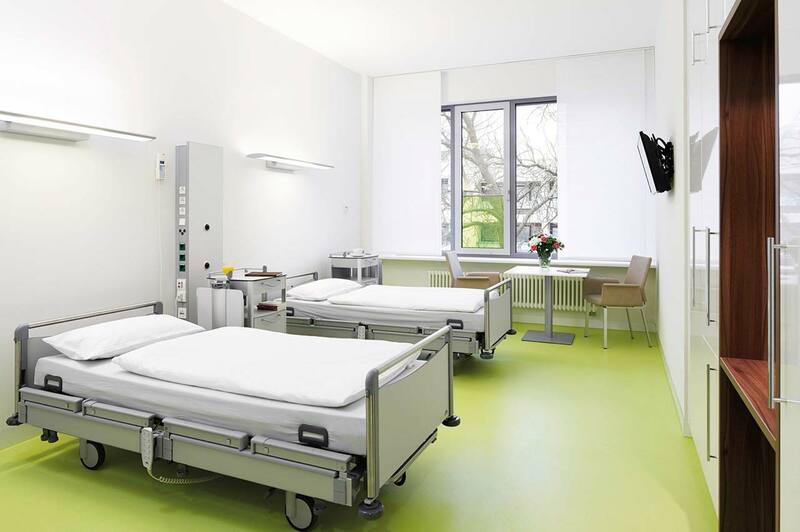 The patients of the University Hospital Ulm live in comfortable rooms with modern design, made in bright colors. Each patient room is equipped with an ensuite bathroom with toilet and shower. The furnishing of a standard room includes a comfortable, automatically adjustable bed, bedside table, telephone, TV, radio and Wi-Fi (for an additional fee). The enhanced-comfort rooms are equipped with a safe, a fridge and upholstered furniture. You may stay at the hotel during the outpatient program. Managers will help you choose the most suitable options. Ulm is an ancient city in the southwestern Germany on the suburb of the federal state of Baden-Württemberg. It is located on the left bank of the Danube. It was founded almost 9 centuries ago, this old imperial city is rich in traditions, history and sights. Also, the city is a major economic, educational and tourist center of the region. The symbol of the city is its huge cathedral. The tower of the cathedral has a height of 161,53 meters, which is the highest church tower in the world. There is a Town Hall not far from the cathedral, the southeastern part of which was built in 1370. In 1520, an ornate astronomical clock was installed on the building, while the facade was painted with the instructive illustrations of commandments, virtues and vices. The Fishing Quarter is one of the oldest and most atmospheric districts of Ulm, located on the Blau River, which flows into the Danube. Previously, the artisan quarters were located here. Here one can plunge into the atmosphere of ancient times, stroll through the narrow streets, admire the houses near the water and the abundance of small bridges. 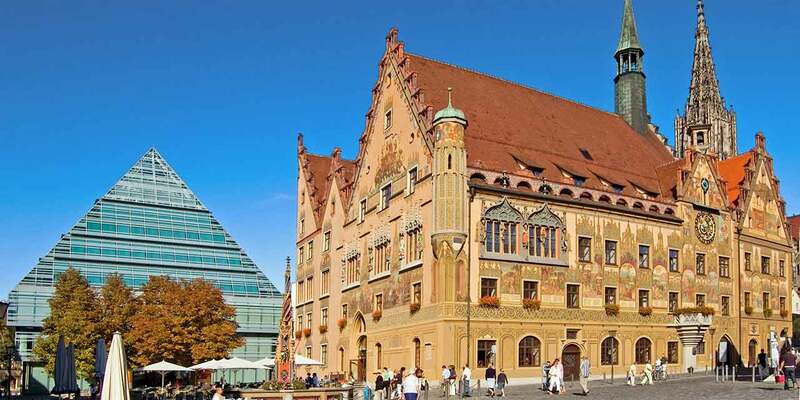 In addition, one can visit the original cafes and restaurants offering traditional German cuisine and delicious beer.